Owning your own onsite waste water system, you need a service provider that is pro-active and not just reactive when it comes your family's health and lifestyle. Helping you protect your investment in your equipment and drain field is a top priority for us. We offer the following services. Septic tank pumping is a vital service that prevents back-ups into a house, adds to the life of a septic system, and allows the septic system to properly treat the wastewater that enters the treatment area. We offer complete repair service for septic systems. 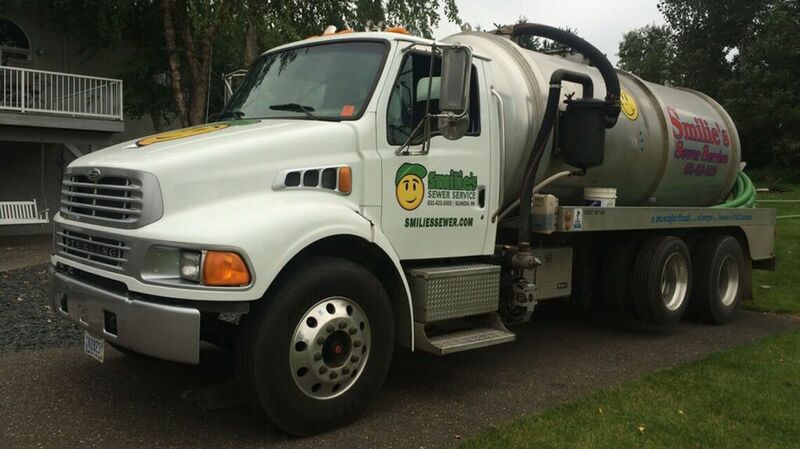 Whether you have damage to a septic tank, a broken sewer line or a sewer line that is frozen and needs thawing, Smilie’s Sewer Service has the tools, experience and manpower to get your job done. Below you can see a list of some of our services. Contact us for more information or to request a quote. Install a safety net just inside of the manhole riser to prevent accidental entry into septic tank (see picture). Septic tank pumping is your #1 priority for maintenance. If your system does not have an effluent filter, we can discuss the benefits of having one installed. As new septic systems are being installed, an effluent filter is quickly becoming a standard part of the system. The filter catches and traps suspended solids, preventing them from reaching your treatment site. The effluent filter may have an alarm, which warns you that it needs to be cleaned. If no alarm is being used, we can develop a maintenance cycle to keep the filter working properly. We provide confined space entry services to assist you in your maintenance … We are trained and certified to meet the OSHA confined space entry standards for general industry [1910.146]. We have the proper equipment to get the job done safely and efficiently. The use of proper personal safety gear insures our employees are always protected. We make sure to monitor the atmosphere of the confined space and ventilate it as necessary to provide a safe working environment. When your septic system utilizes a lift station, one of the most important components is the lift station pump. Lift stations are designed to move wastewater from an area with low elevation to an area with higher elevation. If your septic system uses a lift station as part of your home or business’ wastewater treatment process, you need to make sure you have a service team on your side you can trust at Smilie’s Sewer Service, we are that team for so many reasons. we have been fixing, installing, and maintaining lift stations in the Twin City area for over three decades, and we know exactly what it takes to keep these systems up and running. When you turn to us, we’ll use our extensive knowledge and experience to provide helpful advice, effective solutions, and a seamless service experience from start to finish. We only use commercial grade pumps that deliver maximum performance and help extend the life of your system. If you believe that your current lift station equipment is malfunctioning, contact us at Smilies Sewer Services today. We will provide a thorough inspection, make expert recommendations, and complete your septic services in a timely and efficient manner. It’s our number one goal to ensure that your septic equipment is doing its intended job and that you have complete peace of mind. The effluent filter is a critical "last line of defense" for your septic system treatment site. The filter is placed at the outlet of your septic tank, either inside the tank at the outlet or outside the septic tank in a small stand-alone tank. The filter traps suspended solids from reaching your drain field or mound, thus increasing the life and performance of your septic system. We will clean your effluent filter during a regular maintenance septic tank pumping or per a schedule determined by usage at your septic system. We can install a new effluent filter to an existing septic system of nearly any age. Effluent filters are a great addition to any septic system. Contact us with any further questions about their use. When backups happen due to tree roots or other blockage, we have the necessary equipment to open the clogged sewer line and restore the flow. After the line is cleared, we may suggest a camera inspection to verify or visualize the problem area. Grease trap tanks provide a critical role in protecting a septic system or city sewer system. The tank stores the grease that is generated during and after the cooking process. We pump the tank to remove the grease, per our customer’s schedule. We do this to prevent a back-up due to an over-full condition of the grease trap tank. Should the tank become so badly encrusted with grease, we will enter the tank, per confined space entry procedures, and clean the tank thoroughly using a combination of cleaning methods to restore it to its original operating condition. Q: When should I have my tank pumped? 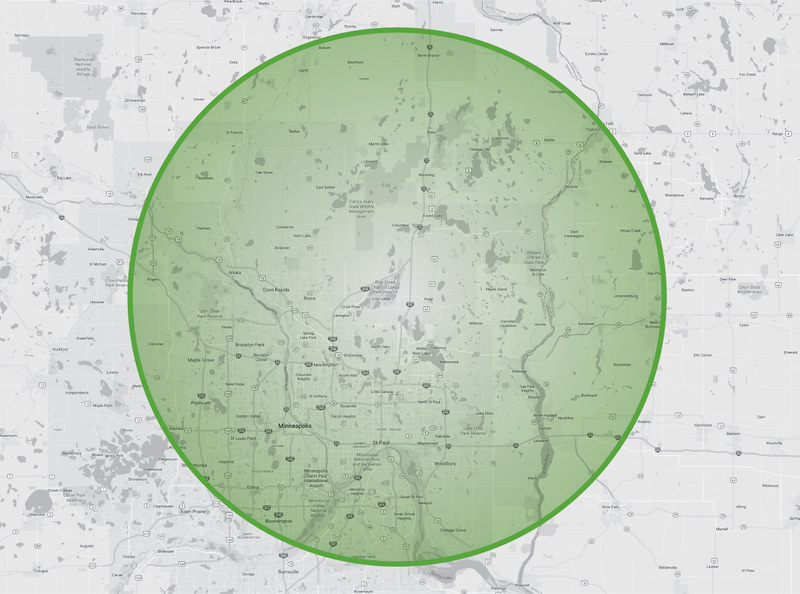 According to the University of Minnesota, Twin Cities, it is recommended that most homeowners have their septic tank pumped every 2-3 years. However, this frequency is determined by many factors including size of tank, usage, garbage disposal use, and other factors. Some homeowners should have their tanks checked annually to see if a tank cleaning is necessary. Q: Should older septic systems be pumped more frequently than newer systems? Older systems should be serviced more often to ensure there are no underlying problems. Q: My septic system was pumped recently why is it full? Normal everyday household water usage will fill the tanks in a short period of time. The purpose of the septic tank is to provide treatment of the waste water from washing machines, dishwashers, toilets, etc. Once filled the tank then drains into the drain fields. Q: What causes the alarm on the lift station to go off? The alarm signals that your effluent pump is not working properly. Make sure the circuit breaker is in the on position as there may also be a loss of electricity. If this does not resolve the problem quickly, call Smilie's for service. Q: Can tree roots and bushes damage my system? Yes, roots will seek out water and this will draw them to grow towards your septic tank. They can get into cracks and cause them to become larger or eventually clogged. Keep any plants with deep roots away from the location of your septic system. Q: I'm a new customer what should I expect? A Smilie's Sewer Service representative will meet with you to discuss any concerns, questions, and maintenance schedules. We will help you to understand your system, and get the right service for what you need. Smilie's Sewer Service sends out reminders to let you know exactly when your system is due for service. If you are not currently in our database, we can utilize county/city records to help determine your last service date. Q: What can cause my septic to freeze? Extreme cold and lack of snow cover may lead to a septic system freezing. Keep foot traffic and snowmobiles away from the septic system area. An extra activity can "push" the frost deeper into the ground, allowing it to reach your sewer lines or septic tank, causing it to freeze. Another cause of freezing may be limited to low use of your septic system. Continue to use your system normally, or contact us for ideas if you are going to be gone for an extended period of time during the winter. "Thanks Shannon and Jim for the fast service! Have a great spring!"